Dr. Howard Sobel is a New York Dermatologist and Dermatologic Surgeon who is part of the experience economy; his medical practice orchestrates memorable events for his patients, which is a strange comment for a Doctors practice; however his practice embraces very positive educational experiences. He is a New York Doctor who educates his patients to be actively involved in their dermatology issues, his patients are able to reflect on their experiences in order to communicate with him so as to investigate the available options that this Dr’s wealth of medical knowledge and his solutions can offer. If you have sun damage on your face, quite common for a large percentage of the market today, it is a result of poor sun protection, as well as sun burn. These types of marks /lesions on your skin ( Solar Lentgines) should awaken you to a discussion on skin cancer, with an objective of “prevention is better than cure.” The facts are that in the United States skin cancer is the most common form of cancer. More than 3.5 million skin cancers in over two million people are diagnosed annually and growing. One in five Americans will develop skin cancer in the course of a lifetime; one person dies of melanoma every hour (every 62 minutes). It is imperative for everyone to have a skin check every year. If there is ever a change in the size or color of a mole a visit to the dermatologist is a must. Any lesion that has irregular borders or is larger than a pencil eraser should be checked at once. What is found to be important, is that when a doctor looks at a skin lesion, makes their diagnosis, they should tell you the best alternatives for treatment and why. Dr Sobel explains that many of the lesions on the face are in the mid – deep dermis above the subcutaneous tissue. To remove multiple lentigines (sun spots) or pre-cancerous lesions, as well as the irregular pigmentation on your face you need a Fraxel 1927. The Fraxel is an excellent treatment, a comfortable treatment and not only does it break up the increased amount of pigment in the lesions deep in the mid – lower dermis, but it brings to the surface a hidden amount of blotchy, pigmented lesions that were just waiting to come out as you age. The results not only remove potentially harmful solar spots but also remove blotchy hyper pigmented spots, making the skin appear younger and healthy. Prevention is still the key to preventing skin cancer. What most people do not realize is that sunscreen should be applied about 20 minutes before going out in the sun. You need a teaspoon of sunscreen to apply to the face and at least a tablespoon to apply on the body. Sunscreen should be worn on the face every day, so use a moisturizer or foundation that contains a sunscreen. That ounce of prevention may be a lifesaver! 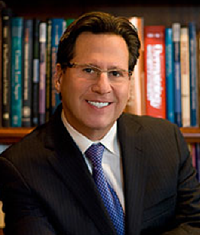 Dr. Howard Sobel combines modern technology with thirty years of experience. He is recognized by both New York Magazine and the Castle Connolly Guide on How To Find the Best Doctors in the New York, Metropolitan Area as one of New York’s premier cosmetic dermatologic surgeons for eleven consecutive years.